What Does It Cost to Rent an RV? If you’re someone who enjoys camping a few times a year, you may not yet be interested in purchasing an RV. It could be much more cost effective to rent an RV for the couple of weekend trips that you take each year. The same goes for those who typically rent a car, stay at hotels, and eat at restaurants. Renting an RV could provide an all-in-one, budget-friendly option for your next trip. The cost of renting an RV can fluctuate greatly depending on a variety of factors. Most RV companies work similar to rental car companies, in that they charge per night and then add a fee for each mile that you travel. 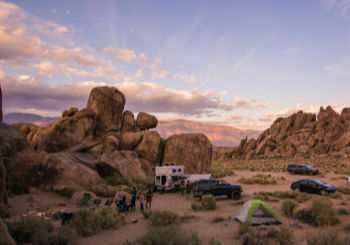 The flat-rate cost per night will depend on the type of RV that you’re renting and when you choose to rent it, as they tend to be more expensive during peak vacation time in the summer. As a rule of thumb, you could expect a nightly rental rate of approximately $100. You should also plan to pay a mileage fee of roughly 30 cents per mile. However, because numerous factors can impact the price, your costs could fluctuate significantly based on your needs. Below, we’ve provided you with more-exact estimates of how much it costs to rent an RV based on specific criteria. How Much Does It Cost to Rent a Luxury RV? Class A motorhomes are the largest choice available and offer significant interior living space to owners. Class C homes are smaller than Class A homes but offer many of the same amenities. Class B homes are known as “campervans.” These vehicles provide adequate space for renters. Be sure to check out RVshare (The Uber for RV and Travel Trailer Rentals) for renting directly from a Campers Owner. Fifth wheel RVs are those on a hitch and the drivers operate in a separate truck. Space and style on a fifth wheel can vary significantly and they are quite heavy, so you’ll truck will need to be capable of hooking up and towing it. On the low-end of the spectrum, a Class A RV costs $275, not accounting for mileage fees. Mid-range Class A homes could cost around $500 – $600 per night. From there, the prices will continue to escalate based on the amenities you choose. For instance, we’ve seen one luxury RV, the Prevost Marathon JA Class A Motorhome, go for nearly $40,000 per week! Class C Motorhomes can range from around $250 – $325 per night. Class B RVs are a bit more affordable, costing between $200 and $300 per night. Fifth wheels represent a broader range, as they can cost from $250 to $400 per night. Renters should also keep in mind that they’ll have to pay additional insurance and fees, which could be higher for luxury RVs than less deluxe versions. Some rental agencies will offset the cost of luxury RV by providing access to things such as generator usage or unlimited mileage at a small upcharge. When renting small RVs, renters may not have access to such deals. 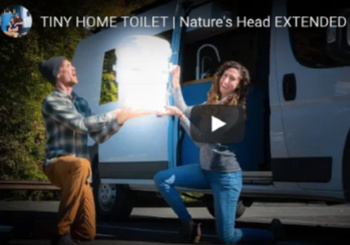 Depending on your plans for the RV, the cost of luxury could be nominal if you upgrade your rental package when using an agency of large RV rental company for this. How Much Does It Cost to Rent an RV in Canada? Canada is one of the most attractive destinations for campers. Many people choose to fly to their destination and then rent an RV in Canada for the week. This is a viable option because RV rentals are typically cheaper in Canada than they are in the United States. Additionally, many Canadian rental agencies don’t charge insurance or registration fees, which also helps offset costs. However, Canadian rental agencies typically aren’t as flexible when it comes to unlimited mileage upgrades. They also tend to charge nominal fees for the use of electronics, like the television. Lastly, some agencies will charge a winterizing fee during winter months. However, even with those charges, the cost of a Canadian rental still tends to be less than the price of an American RV. For instance, the cost to rent an average-sized Class C motorhome in Canada is approximately $150 – $175 per night. Class A homes can cost around $1200 per week. Those interested in a smaller travel trailer will find that they can secure one for as little as $75 per night, although they should keep in mind that they’re also going need to rent a pickup truck or other similar vehicle to haul the RV if you don’t have one already. Can you Rent an RV for a Month? Those interested in a long-term camping trip should be delighted to hear that they can save when booking an RV for an extended period. The longer you choose the rent the motorhome, the cheaper the cost per night. If you’re interested in scheduling an average-sized RV for a month, many agencies will allow you to rent for as little as $50 per night. Even the cost of luxury videos will diminish when you rent for a month. For instance, monthly rentals of a Class A Luxury motorhome can drop as low as $130 – $150 per night. Renters will also want to keep mileage in mind when booking a monthly rental, as they will likely be driving frequently. An unlimited mileage package is well worth the price. Another way to secure cheaper monthly rates on an RV is by being flexible with your dates. For instance, the fewer weekends in your booking, the cheaper the rental will be. The same goes if you opt to take a trip during non-peak months. Early fall could be an excellent time to secure a cheap monthly rental, and you’ll likely see some amazing scenery as a result! Renters should also keep in mind that the cost of hotels for a month will be significantly higher than an RV. Because renters will likely be traveling from one town to another, they won’t be able to secure a long-term rate at a hotel. They’ll be paying a nightly rate in each hotel. Those traveling with large families or groups will also need to secure two to three hotel rooms per night. There’s a common misconception that renters need to secure an exclusive license before renting an RV. However, this is not the case, unless you are renting a high-class Class A motorhome. The need for a special permit varies from state to state, although most are unanimous in saying that residents don’t need an exclusive license unless their vehicle exceeds 26,000 pounds. In some states, like Hawaii and Connecticut, drivers will need to provide a commercial driver’s license for heavy loads. In other states, like Maryland and California, they’ll need to produce a Class B Non-Commercial for loads exceeding 26,000 pounds. Fortunately, Class C Motorhomes don’t exceed 12,000 pounds. Only those renting a Class A RV should worry about the 26,000 pounds threshold. Class A motorhomes can range between 15,000 and 30,000 pounds. Be sure to check with your rental agency to confirm that the model you wish to book does not require an exclusive license. If it does, you may need to provide proof of this special license before booking. One of the noticeable differences between states is the fact that some states say a single vehicle cannot exceed 26,000, while other states say that a combination of vehicles cannot exceed the threshold. For instance, if you’re interested in hitching an RV to the back of a truck, you should check the total combined weight and whether it is acceptable to drive the combination in a state without a CDL. What are the Hidden Costs of Renting an RV? We’ve mentioned some of the hidden costs already throughout this article. One of the most significant hidden costs is mileage. At rates of nearly 35 cents per mile, your final bill could quickly come back a lot higher as expected if you plan to spend most of your time on the road. Renters should also be aware of insurance and registration fees, which could cost a couple of hundred dollars. Another hidden cost of renting an RV are taxes. State taxes can fluctuate depending on where you travel, but the price tends to be an average of five percent. A $2,000 rental bill would produce taxes of at least $100. This also does not account for local taxes or fees that rental agencies may charge if you drop the vehicle off at a different location than were you first picked it up. The last significant cost of renting an RV is gas. The fuel tanks on motorhomes are enormous, with the minimum size of around 100 gallons. RVs also have terrible miles per gallon ratings, receiving around ten miles per gallon on the high side. Renters should budget at least a few hundred dollars to refuel the vehicle before returning it to the agency. Some motorhomes also run on diesel, which will increase costs.